What are Street Signs made of ? To make great signs that last as many years as our signs do, you start with excellent materials. We use 5052-H38 sheet aluminum in .063 or .080 gauges pre-treated in accordance to ASTM Designation: B 449. Surface of the sheet aluminum is cleaned, deoxidized, and coated with a light and tightly adherent chromate conversion coating free of powdery residue. We use 3M retro-reflective sheetings and protective overlay laminate films in our sign manufacturing. 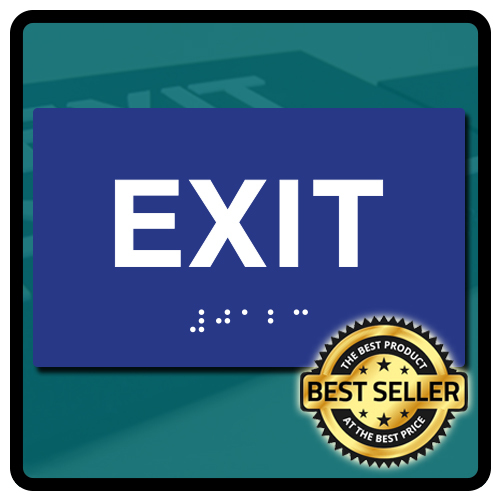 Click the links below to check out our most popular top selling signs. How do we classify traffic signs? What does the federal government say about signs? What is the right sign size for me? What is the right sheeting type for me? What is the purpose of the different sign colors? What is the right post and size for me? What fonts are used on signs? Engineer Grade Prismatic (EGP) - typically used in areas of low traffic volume, low speeds, and minimal competing light. Signs that commonly use Engineer Grade are parking signs and no trespassing signs. Engineer Grade meets ASTM D Type I specifications for retrorefelctivity. High Intensity Prismatic (HIP) - HIP provides higher levels of retroreflectivity versus engineer grade and standard high intensity. Where high intensity uses encapsulated glass beads, HIP uses prismatic technology to provide increased retroreflectivity levels four times brighter than engineer grade. HIP is effective in both well-lit areas and in areas with low levels of light in the vicinity. Signs that commonly use HIP are stop signs, speed limit signs, and crosswalk & pedestrian warning signs. HIP meets ASTM D Type III & Type IV specifications for retroreflectivity and is backed with a 10-year warranty. Diamond Grade (DG3) - highly reflective microprismatic sheeting used on signs that must be seen by road users in all types of traffic and weather conditions. Diamond grade is commonly used on freeway & highway signs, school zone signs, street name signs, and stop signs. Our Diamond Grade options meet ASTM D Type IX & Type XI specifications for retroreflectivity and are backed with a 12 year warranty. Protective Overlay Film (POF) - applied to reflective signs, protective overlay film (POF) is a transparent film that protects signs against common types of sign defacement. If a sign is defaced, the film surface can be cleaned with a mild solvent and water to restore sign performance and control replacement cost of the sign. Signs mounted below eight feet above ground are popular targets for sign defacement. Regulatory Signs - signs that gives notice to road users of traffic laws or regulations. Regulatory signs tend to have red, white, and blue backgrounds with black, white, or red legend. 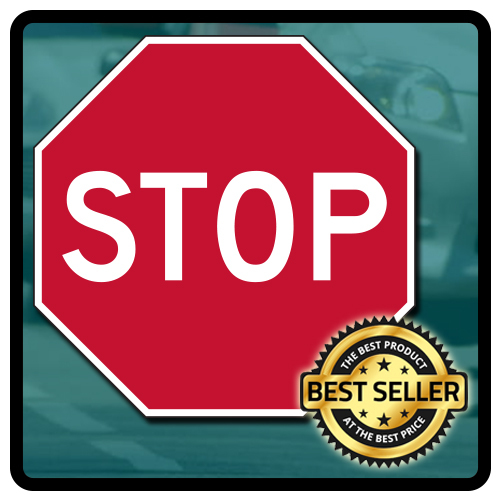 Examples of regulatory signs are stop signs, parking signs, speed limit signs, and handicap signs. Warning Signs - signs that give notice to road users of a situation that might not be readily apparent. Warning signs tend to have a yellow background with black legend. Examples of warning signs are school signs and crosswalk signs. Guide Signs - signs that show route designations, destinations, directions, distances, services, points of interest, or other geographical, recreational, or cultural information. 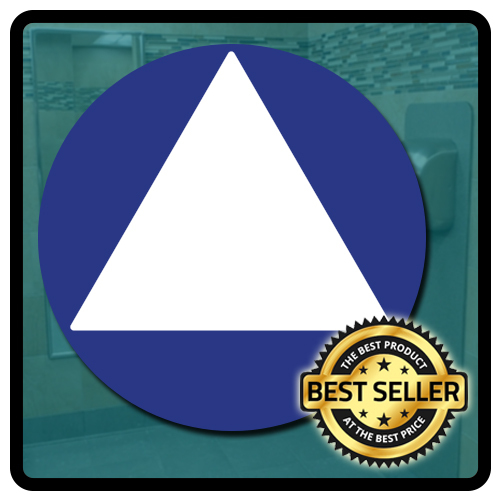 The most common guide signs have green, blue, and brown backgrounds with white or brown legends. Examples of guide signs are overhead freeway & highway signs, interstate route markers, and landmark signs. Temporary Signs - signs that inform road users of a change in road conditions because of a work zone or incident. Temporary signs tend to have an orange or fluorescent pink background with black legend. Temporary signs are commonly found in the vicinity of road work sites. In the most recent edition of the MUTCD, there is a statement from the Uniform Vehicle Code that reads, “No person shall install or maintain in any area of private property used by the public any sign, signal, marking or other device intended to regulate, warn, or guide traffic unless it conforms with the State manual and specifications adopted under Section 15-104.” Further investigation would reveal that it’s not the law unless your state or local agencies have adopted the UVC, but having signs that meet federal standards means you don’t have to worry about conformance. Plus, the importance of uniform traffic signs should not be overlooked. Transportation departments and many traffic safety organizations perform countless tests on traffic signs and determine what constitutes a safe sign. That is why we recommend our signs that are manufactured to MUTCD specifications with approved manufacturing methods and materials to meet standards for safety and reliability. Signs will vary in size. Fortunately, the FHWA determined “conventional” sizes for every federal sign. For example, 30”x30” stop signs are conventional stop signs, 12”x18” parking signs are conventional, and so on. The information on conventional signs can be found in the MUTCD and the SHS. The links in this section will take you to the sections in the MUTCD and SHS for sign size info. When selecting a sign, the type of sheeting you use will play a key role in its effectiveness. Brighter sheeting is recognized from greater distances and will standout at closer distances. Plus, brighter sheeting is important for aging drivers. When selecting the sheeting, you’ll want to keep in mind the importance of the sign to traffic safety. Stop signs, speed limit signs, one way signs, and do not enter signs need to be respected, or else serious consequences can occur. We recommend high intensity prismatic sheeting for the above mentioned signs. 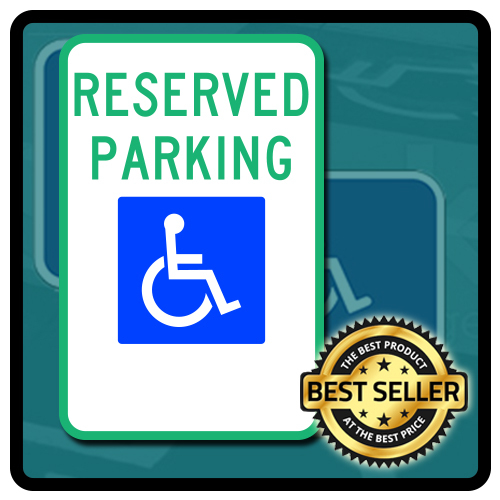 For handicap parking signs and no parking signs, engineer grade is a good choice. Diamond grade is used primarily for stop signs and freeway signs. Plus, many school area signs use fluorescent yellow-green diamond grade because of the attention that diamond grade commands. For sheeting purposes, a good rule of thumb to follow is: engineer grade is good, high intensity prismatic is better, and diamond grade is best. The FHWA has identified 10 of 13 colors for backgrounds that conveying traffic control information. Below you’ll see each color’s FHWA designation. Three colors remain for future use. Feel free to consult the MUTCD color code (sec. 1A.12) for further information. 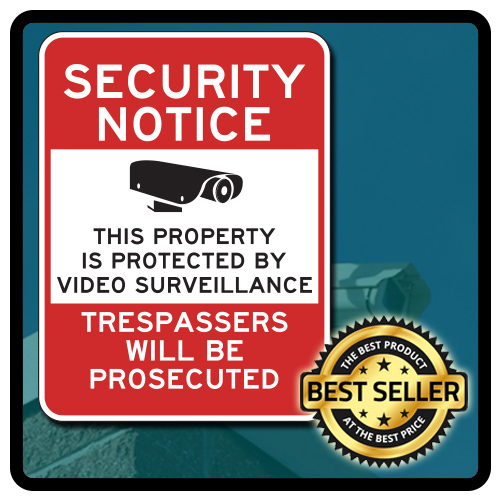 Signs tend to be mounted on steel or wood posts. Post lengths vary, but common lengths are eight, ten, and twelve feet. You’ll want to keep in mind the purpose of your sign, the length of time you plan on using the post, and how easy or difficult is the post to replace if it is damaged. Longer posts are recommended for installations in soft soil or high wind areas. Wood - wood sign posts that you see on the road tend to be redwood or softer treated wood, and are 4”x4” or larger. Wood posts can be found at a local hardware store and will most likely need holes drilled for mounting the sign, or additional hardware is required. Square - typical square posts have mounting holes drilled one inch apart down each side of the post. Sizes generally range from 1.5” to 2.5” in width. Square posts are great for mounting signs on multiple sides of the post and are easy to replace if damaged. U-channel - u-channel posts have mounting holes drilled one inch apart. U-channel posts are good for temporary applications and should not be used for heavier signs. Tube - tube posts are the low cost way to mount signs. Tube posts allow you to mount the sign in any direction. However, additional mounting hardware is required to mount signs to the post. Within the SHS, you will find a section on the FHWA font series. The fonts for traffic signs are FHWA series: B, C, D, E, E (modified), and F. You will find all but one of these fonts on standard road signs. The exception, Series E (modified), is routinely used on freeway guide signs.